The Wii may be tumbling at last, as Microsoft's Xbox 360 outpaced it by several hundreds thousand units in NPD Group's July 2010 retail sales. The games industry was steady, year-on-year, losing a few points in software and accessory sales but gaining notably in hardware sales. Overall video games revenue totaled $847 million, a nominal 1 percent decline from last July's $851 million. Software sales were down 8 percent to $403 million and game accessories dipped 2 percent to $129 million, but games hardware rose 12 percent to $314 million, not doubt bolstered by Microsoft's new slimline Xbox 360. Here's July 2010 hardware, compared to July 2009. Both Microsoft and Sony are sitting pretty this month in terms of year-on-year sales, but Microsoft has the most to crow about, surging past both the Wii and Nintendo DS. 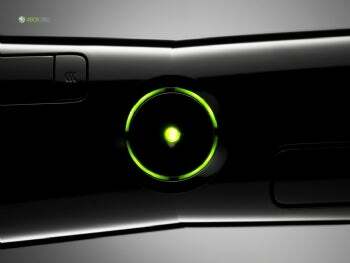 According to NPD, the Xbox 360 is on top for the first time since September 2007, when Halo 3 launched. And look at how close Sony came to pulling ahead of the Wii. With PlayStation Move and Xbox 360 Kinect coming in just a few months (and nothing to speak of on Nintendo's plate, save for Goldeneye and Donkey Kong Country) it's hard to imagine the Wii pulling out of third place this holiday season. And here's July 2010 software. Notice how much closer multi-platform sales seem to be moving here. This year, the spread's 69,000 units. Last July, the spread between Xbox 360 and PS3 sales of NCAA Football 10 was 140,000 units, or double. Slotting 6 through 10, respectively, were Red Dead Redemption (Xbox 360), LEGO Harry Potter: Years 1-4 (Wii), Dragon Quest IX: Sentinels of the Starry Skies (DS), New Super Mario Bros. Wii (Wii), and Call of Duty: Modern Warfare 2 (Xbox 360). NPD notes that LEGO Harry Potter, which debuted in June, "bested its intro month sales...of 355k," though it was released in late June. "In over a month at retail, it has already sold enough to put it just outside of the top 20 games year-to-date," says NPD analyst Anita Frazier. All that, and not a drop of Felix Felicis quaffed.